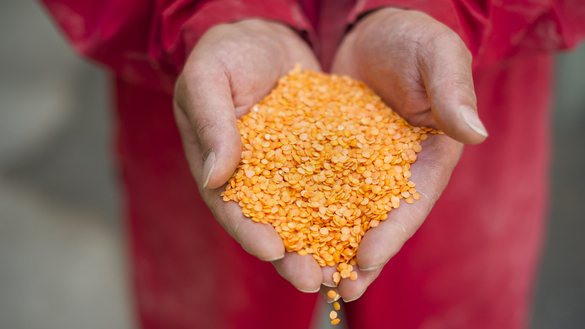 Global demand for plant-based proteins is on the rise, creating unique opportunities for ‘protein innovators’ across Western Canada to add new value to our crops. Protein Industries Canada (PIC) is an industry-led alliance of over 120 private-sector companies, academic institutions and other stakeholders across the country, whose aim is to increase Canada’s share of the plant-based proteins market. The growth will be accomplished by capitalizing on the full potential of prairie crops, beginning with pulses and canola, and eventually moving to other crops. Through processing and the development of food and feed products, we will generate more value from our commodities. The pan-prairie ‘supercluster’ will utilize $152 million in innovation funding from the federal government, augmented with $280 million of industry funding and in-kind contributions as well as a $150-million venture capital fund to invest in startups and established businesses alike that are adding value to raw material, specifically in the creation of plant-based protein products. An independent study shows that this initiative will generate around $700 million in new commercial activity and billions in incremental GDP over the next five years, and create approximately 4,700 new jobs. Plant-based protein products are a unique opportunity, and Western Canada is now well positioned to take advantage.